The Essential Ingredient - Nevitt Fragrances, Inc.
It’s a Great Big Fragrant World Out There. We Help People Make Scents of It All. Since 1983, we’ve been working with customers big and small to design special fragrances that create lasting brands. 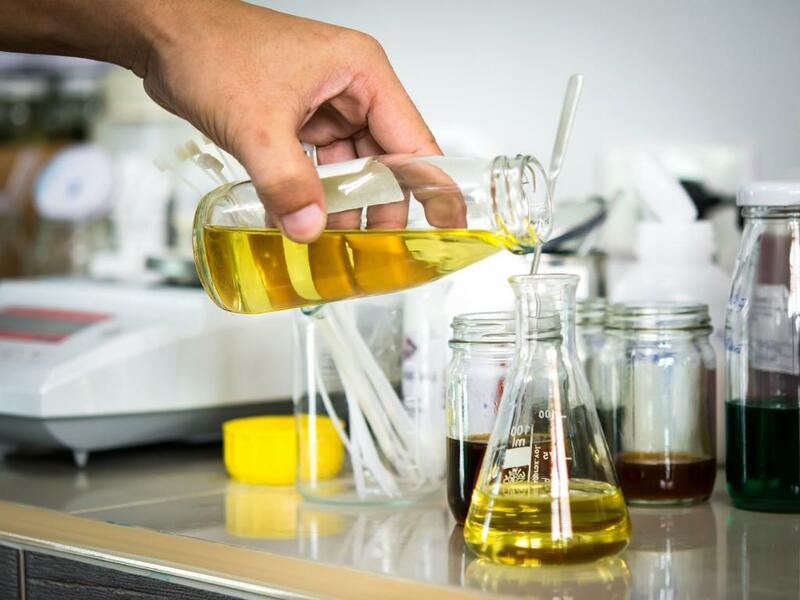 Our expertise spans household goods, cleaning products, automotive and industrial care – developing unique scents for products that stimulate the senses and transform the ordinary into the extraordinary. Scent is one of the most powerful ways to connect products with customers. However, we understand no two clients are looking for the exact same thing – fragrance or experience. It all starts by taking in the details. We work closely with our customers to help answer the future needs of their consumers. We ask questions. We listen. We take detailed notes. By working together, we help you bring new ideas and fragrances to the marketplace sooner. Often times in as little as 48 hours compared to two weeks or longer that’s typical of other fragrance houses. In the process, we help you set your brand apart from the competition by creating one-of-a-kind scents your customers love. Still the best way to get to know our process is to sample it for yourself. Allow Us to Be Blunt: Service Should Never Stink. At Nevitt Fragrances, all our customers experience a level of customer service that’s attentive and highly personal. Everything we do revolves around you and your vision. It’s our never-ending commitment to providing seamless service, trustworthiness, quality and value that serve as our essential ingredients – and inspires loyalty that keeps our customers returning for more. The way we see it: shouldn’t everyone experience service that refreshes and awakens the senses? There’s no place like home. Our expertise includes developing fragrances for dish soaps, laundry detergents and softeners, floor and surface cleaners, candles, air fresheners and even household pet care products. We’re also quite industrious. Our fragrances can be found in industrial commercial scent diffusers, aroma air fresheners, concrete floor cleaners, industrial-strength liquid soaps, disinfection and other commercial-grade products that often contain a variety of complex chemicals. We’ve never been afraid of helping do the dirty work around the workplace. We got our start in specializing in creating fragrances for custodial services, floor maintenance, carpet cleaning, restroom care, facility maintenance and window cleaning. All purpose cleaners and degreasers, waxes, polishes, car wash cleaners and presoak soaps, wheel cleaners, dashboard, carpet and seat cleaners to air fresheners. As you can see, we have you completely covered bumper to bumper. The same is true when it comes to the world of fragrances. And although absolute perfection is unattainable; if we commit ourselves to chasing perfection, we can deliver excellence. This is the philosophy behind every fragrance we create. And we thoroughly test each one to ensure the highest quality and consistency. Once the right formula is created and identified, we establish a batch retention system to measure and test it against the original fragrance. That way we can identify any contaminants causing potential impurities and produce the same quality fragrance again and again. After all, what good is quality if you can’t consistently deliver it? In other words, we have a nose for quality and thousands of unique fragrances to prove it. Let us show you how we define value. Factory with a Boutique Touch. 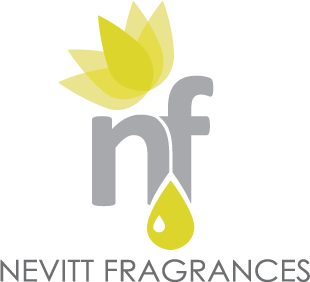 Nevitt Fragrances offers a one-stop fragrance solution complete with administration, R&D and manufacturing all housed under one roof. Clean, floral, fruity, gourmet, outdoor, spicy, tropical or any other unique aroma you have in mind, our fragrance library with thousands of scents provides the starting point. However, no fragrance laboratory would be complete without a Gas Chromotography and Mass Spectrometer. It gives us the capability to engineer or reverse engineer any fragrance into its individual components. Additionally, it allows us to test any of the fragrances we deliver to check for consistency and ensure the highest quality standards. Better yet, come tour our facilities. You’ll discover all of the unique fragrances we create have one thing in common: to provide the highest quality at the best possible price. This foundation has allowed us to help build lasting brands with emotional appeal that consistently exceed our clients’ expectations. Thinking About Stopping to Smell the Roses Bluebonnets? Centrally located here in the U.S. and providing our many customers a logistical advantage, we stand ready to put our expertise to work for you. Our father used to remind us, new business isn’t simply granted by showing up. It is earned by hard work and dedication – and must be proved daily. And this is what we strive to do each day. © 2019 Nevitt Fragrances, Inc..